Our mission is to save you money! So we are busy behind the scenes developing new money saving tools to make it even easier for you to find the best bargains. We already have exclusive wine vouchers as well as search engines which help you find the best wine offers available on the website. You can browse products by price, most discounted, award winners, or best rated by our users to find exactly what you are looking for. Moreover, on our product pages, you can register your email address to get a price alert whenever the product gets under the price you entered. We also display a graph with the historical pricing for every product to make sure you are getting the best deal. Filter by price, merchant, country, colour, size and many other characteristics. Sort the results by most discounted, cheapest or top rated. The Wines Direct deal finder searches all of our merchants to bring you all the wines which currently have at least 50% off. Choose between our Champagne, wine and sparkling wine deal finders to get the best deals on your favourite products. Each product page displays a graph with the lowest price of the wine throughout the year so you know if you're getting a good deal. Tip: Voucher prices are not included in the graph because they can be subject to restrictions (e.g. new customers only). The Wines Direct voucher code page displays all our merchants' voucher codes available at the moment to save you up to £100 on wine and Champagne. 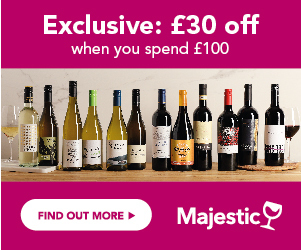 We negotiate some exclusive voucher codes for new or existing customers with merchants such as Tesco Wine by the Case, Waitrose Cellar or Laithwaite's Wine. Tip: If you're not sure how to use a voucher code, check our YouTube tutorial videos or contact us and we'll be happy to help! Receive an email whenever your favourite wine is on offer or hits a certain price. To set up a price alert, just search for the wine you're interested in and click on the blue button saying "Add Price Alert". Easy! Tip: We also provide stock alerts to let you know whenever your favourite wine is back in stock. Same process but click on the "Add Stock Alert" button. The Wines Direct wine offers displays all of our merchants' best offers as well as the deals of the day for popular wine brands and grapes such as Hardys, Oyster Bay and Malbec. This helps you save time by seeing all the hottest deals of the moment in one place. Same principle as the Wine Offers but for Champagne! We shout about the best offers available from UK merchants and show you the best prices for the most popular Champagne Houses. All in one place. We work with over 20 wine merchants and supermarkets in the UK to bring you the best deals. However, choosing a merchant that will cater for your specific needs can be difficult. That's why we have created a special guide with everything you need to know to make the best decision according to your own priorities. Each product displays customer reviews and ratings, as well as expert reviews and awards from international organisations. We encourage you to rate and review wines yourself so you can share your opinion with our members and help them discover great wines! Weekly newsletter: to receive all the best offers from our merchants. Voucher Alert: to be alerted whenever we have a new voucher available. Champagne offers: to receive the best offers on popular Champagne brands. Receive All Our Merchants' Best Deals Directly In Your Inbox With Our Newsletter!